This week, we bring you a modern classic, championing the rights of everyone to an education. Here at Inspire, we’re pretty serious about education. We believe it’s the gateway to opportunity, and that’s why we’re so passionate about our summer schools. So when we came across I Am Malala by Malala Yousafzai, we were very excited to read this true story and share it with you. 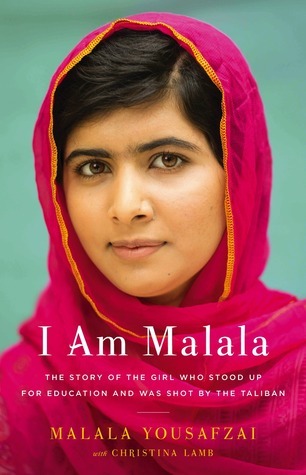 I Am Malala is an autobiography (written with the assistance of Christina Lamb) of a Pakistani girl who is shot by the Taliban for standing up for her right, as a Muslim girl, to an education. Now, it sounds as if we’ve given away the punchline before we’ve even told the joke! We haven’t. The story begins with this moment of tragedy and then reveals the political background, religious climate, and personal histories that led to this event. Furthermore, the story continues after the shooting too, highlighting the global impact of this event. Although a serious subject matter, the style of I Am Malala is engaging, personal and insightful into the everyday life of a Muslim girl living under the threat of the Taliban. At times, humorous; at other times, heart-wrenching. For those of us living in countries where education for all children is regarded as the norm, it is difficult to imagine a country where this is not the case. Often, we complain about going to school here in the UK, but we don’t realise how lucky we are. By reading this book, and supporting Malala Yousafzai’s continued campaigns, we can put pressure on those in charge to change the reality of education in their countries. For Inspire, this book is significant because it reminds us how grateful we are to have our education. Moreover, it encourages us to invest more and more in the students that attend our summer schools, to inspire them to make a difference in this world for those less fortunate. Stay tuned for our next book review. If you have any suggestions or comments, please get in touch, we’d love to hear from you.